LeMarchand's first and arguably most classic, puzzle construct. Its complexity was managed by expanding on the design of a similar box designed and constructed by Albertus Magnus in the thirteenth century. When operated properly, a pleasing melody issues from within which belies its true nature. 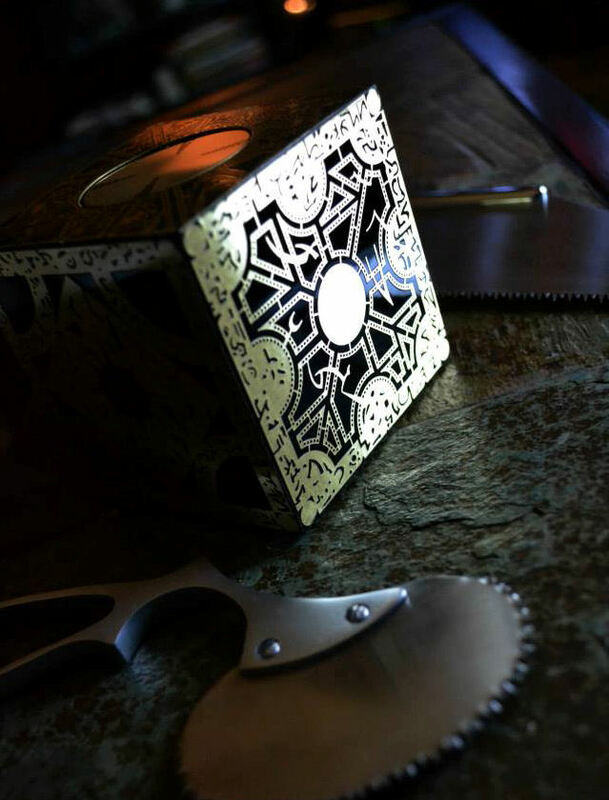 - excerpted from "Tucker's Encyclopedia of Mass Murderers"
"The boxes, known in some circles as LeMarchand Boxes, were each one of a kind creations which were also puzzles, with the answer to one's ultimate hearts desire as their solution." 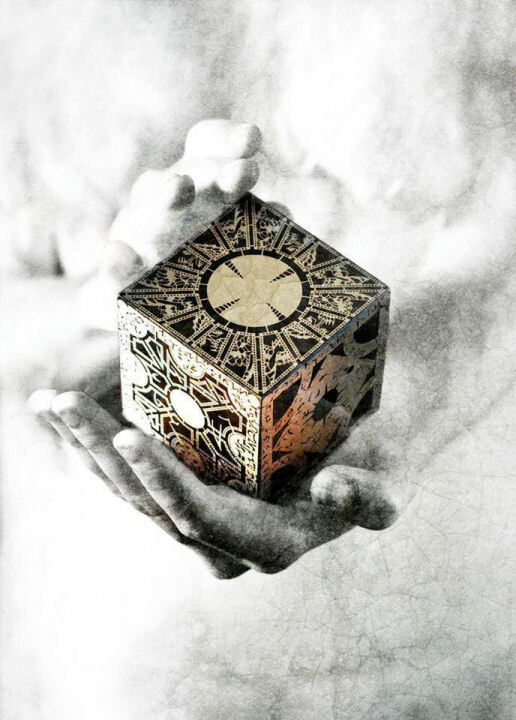 "The box is itself more than just a key to a doorway to hell; the box is a masterfully constructed puzzle box. It is the embodiment of forbidden knowledge; a secret that can only be solved through obsession. 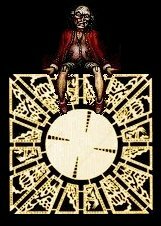 With it's secrets solved and it's pieces in final place the puzzle reveals something that was not evident before - the reality of hell." 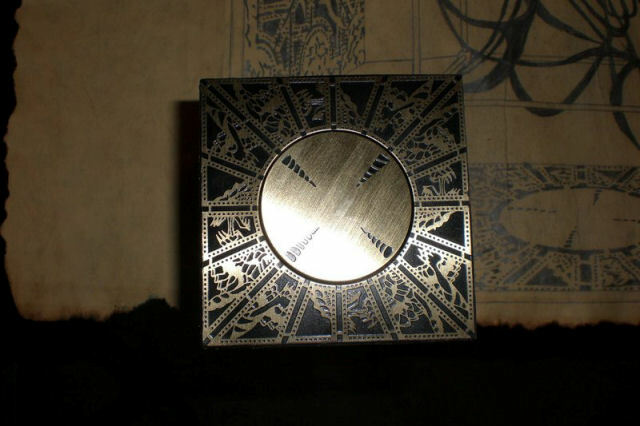 a movable/wind up feature in Pyramid-Gallery's musical replica of The Lament Configuration. 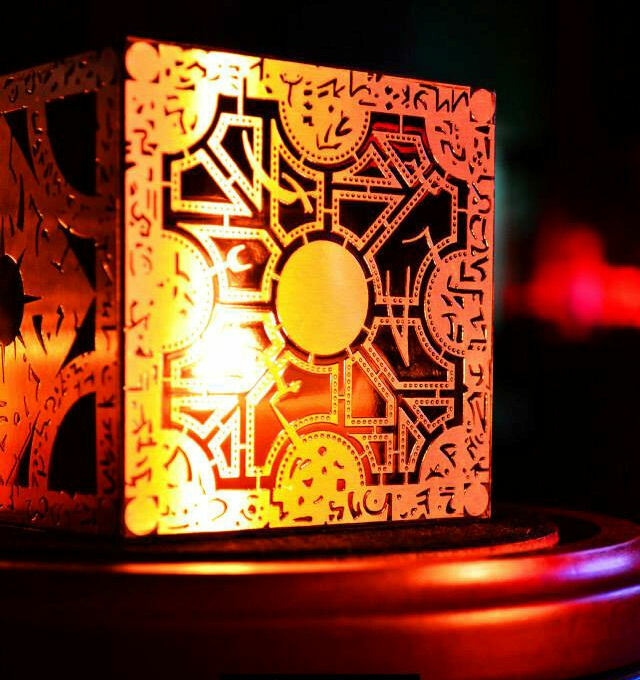 "Each box is unique for each person, a different puzzle requiring a different solution, a solution that is a ritual. It can never be easy to solve the box; it is something someone has to work at, and something someone has to want." 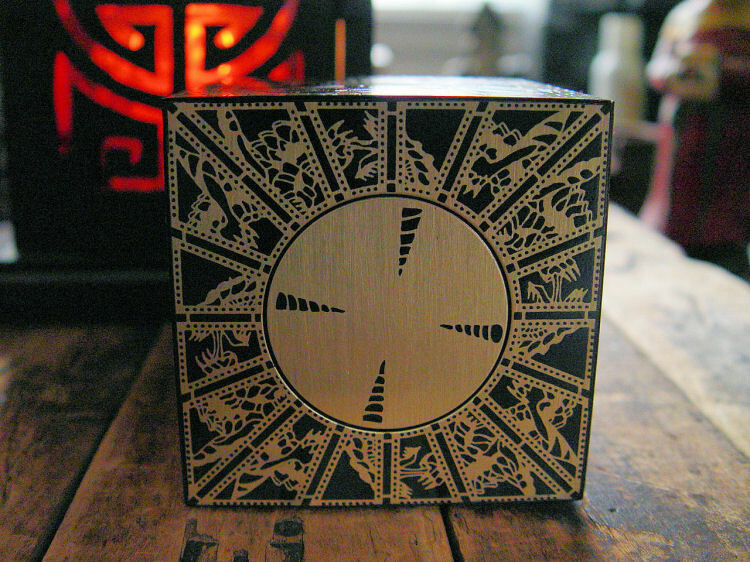 - excerpted from "Bolinger's Encyclopedia of the Occult"
"It is believed that LeMarchand constructed more than 270 of his puzzle boxes before he vanished. 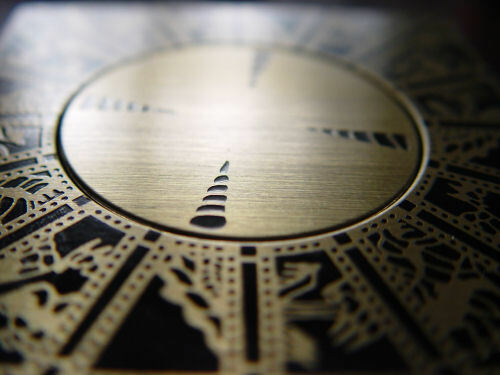 These boxes change hands rapidly, as is expected, though there are a few collectors, who are interested in the boxes as objects of admiration, and have no interest in working their wonders." 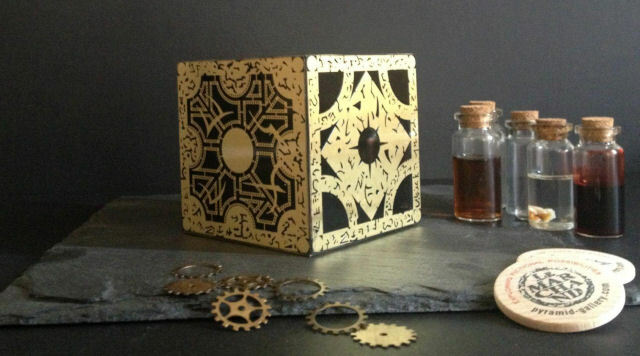 "...By his 88th year, Phillip LeMarchand had gone far beyond that first small puzzle. He had become one of hell's most prolific prodigies, eventually returning to his architectural education to design entire buildings that were puzzles in themselves." 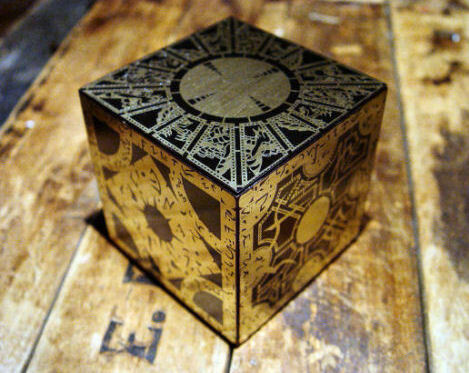 Philip LeMarchand allegedly murdered fourteen persons in order to construct his first box. Photo by Alex Reed Images.